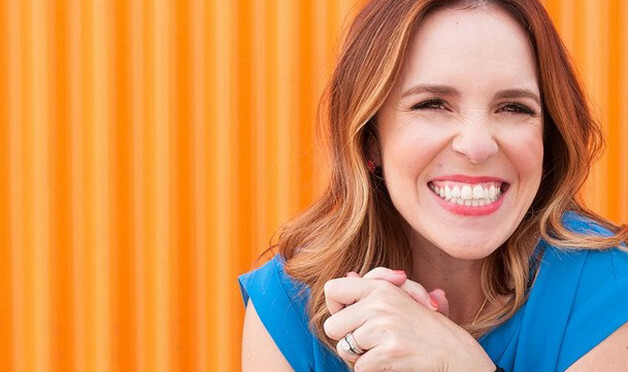 Bikini Mom Rachel Hollis let’s it all hang out!! Rachel Hollis runs the popular lifestyle blog The Chic Site and is a mom of three- that is how she earned her her flabby stomach and stretch marks, the ones that she posted on her Facebook page that went viral. Hollis told CNN that he first reaction to the photo was to crop it, but then she thought again, “gosh I have never seen a woman post a picture like this” and she is right the first reaction most of have it either to delete it, filter it, or crop it. We have become accustom to editing our lives to be better versions of the ones we are actually living, and you wonder why we feel inadequate most of the time. I think this is why a simple photo like Hollis’ goes viral, we are so used to the airbrushed images we see in advertising, and on our own social media sites that this shocks us back in to our reality. We suddenly wake up, like someone doused us with cold water when we see someone unabashedly shows themselves…we have taken to calling this “brave”. Sadly this is what a type of bravery in our world today. showing one’s authentic self has been put on par with jumping out of a plane, running into a burning building, or going into a war zone….it is brave because the media, and the world of social media has become a war zone, and we as women are often enemy #1, targets for attack. So rock on Rachel let it all hang out!!! You go Rachel! I’m a mom as well and found it really hard to get back into shape BUT I did it. I had the same old routine, busy lifestyle and poor eating habits until I got myself into gear and started working out..